COMPLETELY REMODELED WITH EXCEPTIONAL QUALITY! 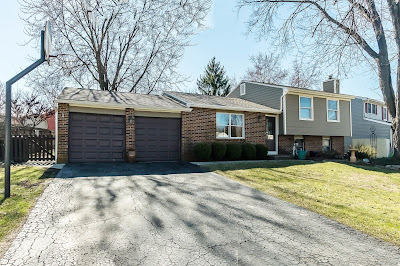 Spacious 3 level home on a mature treed and fenced lot with yard building, decks and patio. All new flooring and updated carpet, new interior paint, lighting, roof, windows, hardiplank siding and much more! Remodeled Kitchen has maple cabinets and stainless steel appliances. Family Room has wood-burning stove, built-ins and wood planked accent wall. Den/4th Bedroom. Remodeled Lower Level Bath has granite floors and walls. Upper Level remodeled Bath has granite countertop and skylight. This home is perfect! Just move right in and enjoy life. Over 1,400 SF! 4 BRs and 2 full Baths. Westerville schools. Only $182,900! Call DeLena Today!